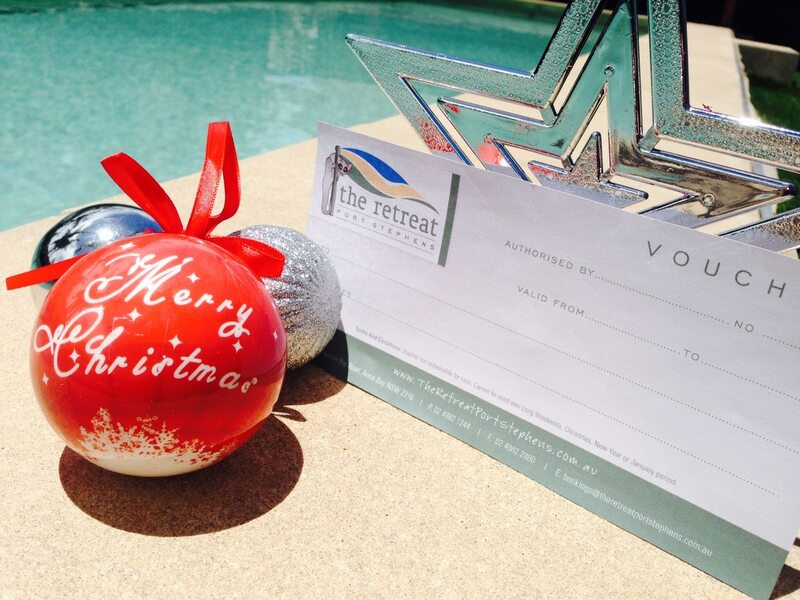 What a better gift than a holiday at The Retreat Port Stephens to enjoy this amazing region as a Christmas Gift ideas. You can choose $50, $100 or $200 vouchers or book a weekend away or week if you are feeling generous. No need to set the dates the recipient of the voucher can call and book their prefered dates. Excellent gift idea for: Birthdays, Christmas, Weddings & Fundraising events. We can email you the voucher to print at home or package it up and post it out to you.